The German town of Bremen relaxes its home grow laws for recreational users - but further reform is years away. Bremen, the German town memorialized by the Brothers Grimm, has been on the forefront of legalization of cannabis in the country for the last several years. Led by a coalition of the so-called “Greens and Reds” – the local Green Party and the SPD, the city has repeatedly (and so far mostly unsuccessfully) sought to liberalize drug laws in the city. It is not, like the argument has been in the U.S. of late, to generate huge tax revenues, but rather to end the black market and limit the amount of money spent on police prosecution of small time dealers and casual users. Last year, the city proposed a model project where cannabis would be legalized and regulated, à la Amsterdam. That proposal, however, was shot down by the Federal Institute for Drugs and Medical Devices (BFArM) last year. This year however, the city has achieved a small victory of sorts. Recreational users will now be allowed to grow small amounts of marijuana for personal use. That means about 2-3 plants. The “advance” if it can be called that, is a minor one. 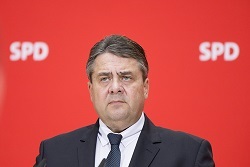 Drug policies in Germany (such as the legalization of cannabis for any purpose) happen at the federal level. Berlin has been trying for years, particularly in the artsy Kreuzberg District, to set up coffee shops to limit the flourishing black market that police cannot stop. However, like the Netherlands, the country has a strange relationship with cannabis (and hash). It is fairly easy to score low quality grams of hash on the street in nearly every town for between 10-20 euros a gram. Depending on where you are, the police will usually leave you alone if you are caught with less than five (although in Berlin and now Bremen that amount is 15 grams). The police in fact, have been fairly vocal, particularly in Berlin about their frustration with the federal and state laws, which are just strict enough to force them to bust low level dealers, but not strict enough to do anything about it. Most dealers are at best, kept behind bars for between 24-48 hours and then let back onto the streets where they go back to selling. Yet the federal government still refuses to legalize recreational use. And that means, despite the presence of head shops in every German town, the place you go for the “product” still means the street black market. That said, the Germans are clearly in the forefront of reform in Europe. Medical use has been legal here since 2008. 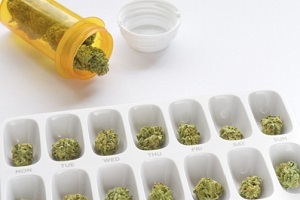 Home grow for sick patients who could not afford to buy either the medical grade bud or pharma substitutes prescribed by doctors for certain serious conditions (AIDS, movement disorders, depression and PTSD) was legalized in 2014. And next year, according to draft legislation now pending in the federal parliament, the government plans on rescheduling cannabis altogether, and further covering it under health insurance. That is likely to move recreational reform forward a few steps, but still not very far or very fast. The focus here, at least for the immediate future, will be medical, not recreational. 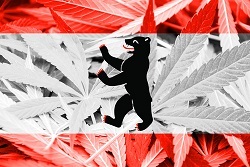 Like Israel before it, the German government has also indicated that they will import the drug after rescheduling it next year, and not organize any domestic commercial operations for medical cannabis until at least 2018. That, for all intents and purposes seems to indicate that recreational reform, no matter how popular it might be with regional politicians and urban mayors, is at least three to four years away. WHAT DO THE GERMANS WANT? The answer to that question really depends on who you ask. A government poll conducted in early 2014, to coincide with the start of the Colorado recreational market, claimed that while a majority of Germans approved of medical cannabis, only 30% approved of recreational use. That number was hotly contested, as well as the validity of the poll itself by the press and by reform organizations. The fact of the matter is that cannabis use really isn’t a very big deal here, and the police go out of their way to ignore all but the most obvious infractions. The concept of the drug war, as it has existed, particularly in the U.S., is utterly foreign. Being found in possession of a few joints by the police was always a fairly minor infraction, and certainly for the last decade or so, would usually result in losing one’s stash. The idea of facing jail time, not to mention federal prosecution (as is still the case in the United States) is unheard-of. Further, as there is no widespread drug testing here, including for employment, personal, private use is just not a big deal. Even if one brings a few grams over the border from Holland. WILL THE ELECTIONS MAKE A DIFFERENCE? The answer is an almost certain no. The big change next year, federally, will be that sick patients will, for the first time, be able to obtain about an ounce a month, offset with a co-pay (how much will be determined by the kind of insurance they have). 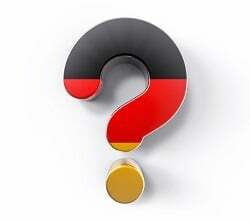 As most Germans however, still have public health insurance, the skyhigh prices paid for imports will drive the development of domestic cultivation faster than reform in any other country. And that grow, at least according to the winds blowing out of Berlin right now, will be focussed at least at first, and certainly not before 2018, on serving the medical community. Recreational production and sales will happen years after that. That said, German medical users potentially are the largest population of cannabis patients in Europe. It is estimated that there will be about 800,000–1.5 million patients who qualify to obtain the drug after real medical reform occurs here. How fast that will happen also depends on whether sick patients can find a prescribing doctor. Once domestic commercial grows have been established, probably not before 2020, the discussion of recreational use will be back on the table. That said, what is highly likely to happen after next year is that the police will essentially overlook small personal grows (for whatever purpose), for a plant which produces a drug that will be deemed only slightly dangerous and not very addictive.